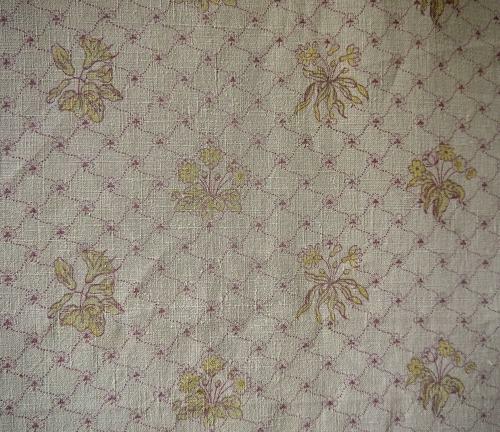 Late 19th century French printed linenpanel made up of two 80cm widths.Pretty faded yellow spring-like flowers against stippled diamond shapes. 8cm hem on top and bottom of the piece. Good condition witha few holes om the right side selvedge.